A comment on Friday's post wonders why the Twins aren't considering Trevor Plouffe for the outfield instead of contemplating such a move for Miguel Sano. 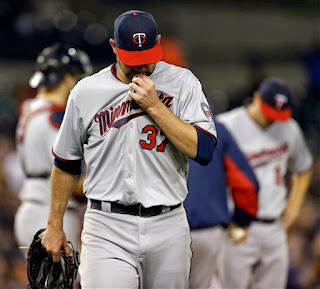 After all, Plouffe was in the process of becoming an outfielder in 2012 when Danny Valencia's Twins tenure imploded and Plouffe wound up at third. 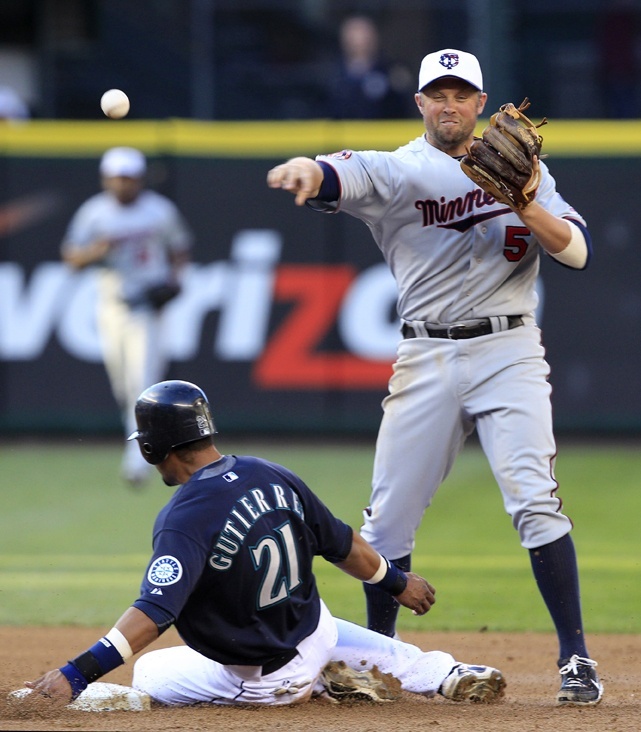 Plouffe isn't the player he was when the Twins had him in the outfield. He's heavier (by some 15 pounds) and older (29) than he was back then. It's a good guess that, even though Sano outweighs Plouffe, Sano is faster and simply a better athlete. Neither is likely to be an outstanding defensive outfielder, but Sano has better tools to bring to the job. Plouffe is a better defensive third baseman than Sano. Play Sano at third and Plouffe in an outfield corner, you have a (presumably) below average defender at both positions; play Sano in the outfield and Plouffe at third, you have a below average outfielder and a good third baseman. It's all posture. If the theory this is all about maintaining Plouffe's trade value is correct, which is more likely to be part of it: Plouffe's too good at third to move or We have to move him to make room for Sano? Gerry Arrigo ptiched in the major leagues for 10 seasons, beginning in 1961 with the Twins and ending in 1970 with the White Sox. In between he pitched for Cincinnati, where he encountered the young Johnny Bench when the Hall of Famer to be was just a rookie. 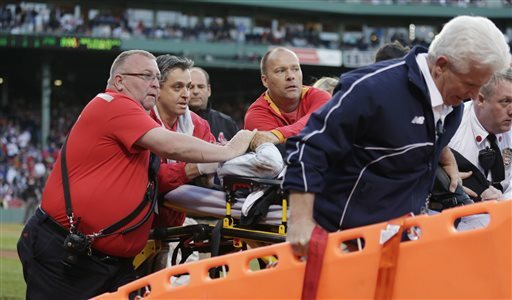 "He thought he had a fastball," Bench recounted years later of Arrigo. "He was pitching to a hitter I knew he couldn't possibly throw it by. I called for a curve, and he shook it off, a curve again and he shook it off, a curve one omre time and he shook it off. He finally threw a fastball outside.'" And the distainful Bench merely reached out with his bare hand to catch the "heater". The Wolves won Friday night in Sacramento with rookie Karl-Anthony Towns playing just 21 minutes. The game before that, they won with Towns playing just 22 minutes. Towns will get 12 minutes this half. 12. My sense of it is: It's a long season with a hellacious travel schedule. Towns is 20 and a year out of high school. The history of the NBA is filled with talented young big men whose bodies couldn't take the stress: Sam Bowie, Greg Oden, Bill Walton ... Why beat the kid up if you don't have to? Wiining with Towns playing 21 minutes is easier on him than winning playing him 31 or 41 minutes. In baseball, the prevention of injuries is the current sabermetric holy grail. It's almost certainly the same in the NBA, which has perhaps accepted analytics more readily than baseball has. We certainly see more teams sitting specific players on one side or the other of back-to-back games. The NBA and MLB have some parallel issues: A lot of games packed into half a year with tons of travel, long overnight flights and sleep disruption. Baseball teams are already trying to limit pitcher workload -- not only in game, but in season. We may soon see more attention to position players as well. Miguel Sano told at least one reporter at the end of the major league season that he'd be playing third base for his Dominican team in winter ball. Any other positions? the reporter asked. No. Third base, was the response. 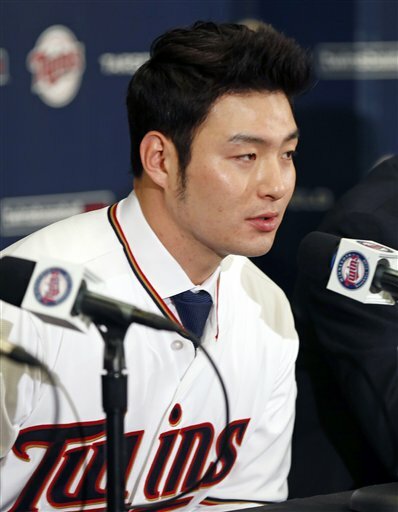 A few weeks later, the Twins started talking about Sano as an outfield option and said they would ask his winter league team to play the young slugger in the outfield. If that has indeed happened, word of it has yet to reach me. I wouldn't be surprised if it doesn't happen; Caribbean teams are not beholden to a major league parent, and they are trying to win. Estrellas de Oriente is no exception. 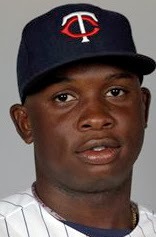 Still: We know a healthy Sano is going to be in the Twins lineup. They have veteran incumbents at third base (Trevor Plouffe) and first base (Joe Mauer); they presumably will have a pricy import (Byung Ho Park) at DH/1B; and they have outfield positions available. So there is some logic to the idea. I continue to have a difficult time taking it seriously, however. There are no 260-pound outfielders running around in the majors these days; that's Sano's listed weight, and that might be a tad light. The Twins have no shortage of legitimate outfield talent on hand; unproven talent, to be sure, but talent. One thing that helped improve the 2015 Twins was better outfield defense; stuffing Sano out there figures to be a step in the wrong direction. Give Paul Molitor enough time to talk about Sano as an outfielder, and he'll concede that the big guy might never actually play out there for the Twins. My expectation is that Plouffe will be traded in the next few weeks, and that will make Sano the likely third baseman for 2016. That would be for the best. this old pic of a turkey in my mom's oven. 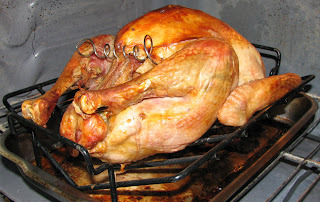 Happy Thanksgiving, all, and thanks for reading. As the Twins made their ultimately futile playoff push in September, Paul Molitor essentially went with three outfielders: Eddie Rosario in left, Aaron Hicks in center, Torii Hunter in right. Today Hunter is retired and Hicks is a Yankee -- and Shane Robinson, who spent the entire season on the roster, has signed with Cleveland. So Molitor's 2016 outfield is going to be markedly different than the one he went with at the end of 2015. Start with the one certainty for April's lineup: Rosario. Rosario's plusses: He's a good defensive corner outfielder and probably passable in center, although the Twins have better options in the middle garden. He hit for more power (.459) than might have been anticipated and led MLB in triples with 15. He didn't fall off against lefties -- in fact, his slash line stats were all better against southpaws than against righties. Rosario's minuses: His walk-to-strikeout ratio was abysmal: 15 walks, 118 strikeouts. His on-base percentage was a lowly .289, and that makes ludicrous the notion floated by some that he belongs at the top of the order. Keith Law, the ESPN prospect writer, said in a recent chat that he expects Rosario to eventually be the odd man out of the Minnesota outfield. And if Rosario's inability to control his strike zone persists, Law's right. It's not possible to be a productive hitter striking out eight times for every walk. But I'm not sure that what we saw in 2015 is what we'll see in the future. The scouting word on Rosario as a minor leaguer was always: Outstanding hit tool, probably a bit shy on power. That was part of the motivation for the second base experiment in 2012-14, that a good singles hitter's bat plays better in the middle infield than in an outfield corner. But Rosario in the majors was more a power hitter than a singles hitter. The level of production was essentially what one might have expected; it simply took a different shape than projected. Rosario is young -- he turned 24 in September -- and his development as a hitter was certainly detoured by his half-season suspension in 2014 and possibly by the position uncertainty. There's growth possible here. And, considering the talent the Twins have among young outfielders, he'll need to grow. But he is first in line for the chance. The Twins this offseason have, as noted in Monday's post, shed three catchers who have bounced between Triple A and the majors the past three years -- Eric Fryer, Chris Herrmann and Josmil Pinto. They also, during the season, moved Dan Rohlfing to the Mets organization. This essentially clears the deck for the trio of catchers the Twins selected in the first nine rounds of the 2013 draft: Stuart Turner (3rd round), Brian Navarretto (6th round) and Mitch Garver (9th round). Turner, who turns 24 next month, figures to be the primary catcher at Triple A next year. He didn't hit much at Double A Chattanooga (.223 batting average with a .306 slugging percentage), and he didn't hit much the two previous years either. Drew Butera is probably a good comp to him: the defensive chops to catch in the major leagues, not enough bat to be a useful regular. Garver can expect to move up a rung to Chattanooga. He'll turn 25 in January. He has shown a good bat in the past, but his production fell off notably when he moved from Low A Cedar Rapids to High A Fort Myers. That's not a plus, obviously, but some decline is always likely with that transition because Fort Myers is a notoriously difficult hitting environment, while CR is one of the more hitter-friendly venues in the Midwest League. Anyway: Garver is certainly a better hitter than Turner, and also said to be weaker behind the dish, He's also been consistently old for his level of competition. Navarretto was the one high schooler of the three, which is why he's a level behind the other two. He turns 21 next month. He will probably be the No. 1 catcher for Fort Myers. 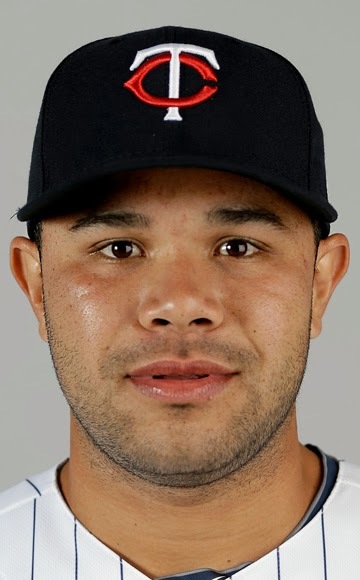 What he showed in Cedar Rapids was an excellent throwing arm and a weak stick -- .217/.256/.281. I happened to witness one of his two homers. I also think it likely that the Twins will be targeting catchers again in the 2016 draft. 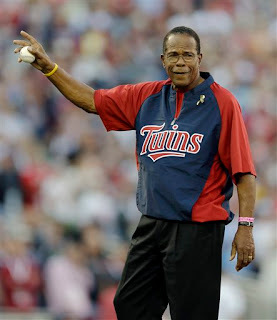 Have a heart, Rod Carew. Literally. 2014 All-Star Game at Target Field. The news Monday that Rod Carew is in need of a heart transplant was a bit of a thunderbolt, especially to Twins fans of my age. For a good chunk of the 1970s, Rod Carew was the focal point of the Twins -- perennial All-Star, perennial batting champion. Steve Rusdin of Sports Illustrated broke the news. One aspect of Carew's situation that seems to be getting misinterperted in the Twin Cities reports I've seen: According to Rushin, Carew is not actually on the transplant list. He's not healthy enough yet after surviving a major heart attack in September. He's on an artificial heart of sorts, an LVAD -- Left Ventricular Assist Device -- while he waits to get on the list and then for a matching donor. Some patients keep the LVAD permanently when transplantation is not an option. At 70, Carew is near the age border for a transplant, though age standards are considerably more liberal in the western United States, where waiting lists are shorter. “I don’t know if I’m going to be bionic or what,” says Carew, who is concentrating now on becoming healthy enough to quality for the transplant list. Carew is aiming to be at spring training, although he has been told that if he does go to a training camp this spring it will be the Angels (who train in Arizona), not the Twins. He's under contract with both organizations, and both renewed their deals with the Hall of Famer after his health crisis began, a nice gesture by the two teams he played for. We all die sooner or later. I'd prefer to see Carew hang around a few years more. The Twins have moved rather aggressively to reshape their catching options for 2016. Kurt Suzuki is still around, of course. But Chris Herrmann was traded to Arizona, Eric Fryer was outrighted and signed with St. Louis, and Josmil Pinto was claimed by San Diego. That's three catchers with major league experience cleared off the roster -- and one, John Ryan Murphy, added -- in roughly five weeks. Pinto's departure had three causes: First, he isn't much of a defensive catcher, and it's not for lack of effort. Second, he was, by my count, sidelined three times by concussions last season. And three, there didn't figure to be a role for him on the roster. There are plenty of other DH options. That he was claimed by a National League team suggests that not everybody is convinced that his defensive issues negate his batting. San Diego is a tough park to hit in, so even if Pinto gets playing time with the Padres, his numbers may not impress anybody. The Padres have Derek Norris as their No. 1 catcher, and he's pretty solid. Austin Hedges was the primary backup, and he hit just .168, so there is an opportunity for Pinto to make the club. But he's one of four catchers on the 40-man roster. He's got his limitations, and he's got competition. The great 19th century catcher/outfielder King Kelly is playing right field in Boston. The game goes into the 12th inning, and it's getting dark. With two outs, the batter drives a pitch deep to right. Kelly dashes back, leaps for a two-handed catch and trots back to the bench. The umpire calls the batter out and calls the game on account of darkness as a tie. Kelly's teammates congratuate him for saving them a loss. One asked how deep the ball was hit. "How the hell should I know?" the King replies. "It went a mile over my head." Friday was the deadline for teams to protect their current minor leaguers from the Rule 5 draft by putting them on the 40-man major league roster. The Twins elevated seven prospects -- and lost two players with some major league time, catcher Josmil Pinto and right-hander A.J. Achter, on waivers, Pinto to the Padres and Achter to the Phillies. I'll probably write something in more detail about the Pinto move next week. Achter is a marginal reliever who had another good season in Triple A last year -- he has a 2.69 ERA in 99 Triple A appearances -- who might be able to wander into a decent major league season if given a chance, but lacks the dominant pitch to force a career. Good luck to both of them. Hard-throwing right-handed relievers: J.T. Chargois and Yorman Landa. Left-handed Triple A starters: Pat Dean and Taylor Rogers. Left-handers with Tommy John surgery: Mason Melotakis and Randy Rosario. Landa and Rosario spent 2015 at low A Cedar Rapids, and I saw both pitch during my handful of Kernels games last August, Rosario as a starter and Landa as a reliever. I didn't write about Landa, but he did show some serious velocity; I wrote instead about Luke Bard, who wasn't put on the 40 and is eligible for Rule 5. Anyway -- while Landa and Rosario will be in major league camp, I don't think the Twins will elevate either to the majors this year. Dean and Rogers are slightly surprising protects to me. I don't see either as a particularly likely candidate to ever be starters for the Twins. There are certainly a lot of rotation guys ahead of them. Walker's protection illustrates the importance of the power tool. ABW has serious power -- and, like Oswaldo Arcia, little else to recommend him. I'm not particularly enthused about Walker's chances. Melotakis missed 2015 with Tommy John surgery while Chargois returned from two years on the shelf. These two guys each have pitched in Double A and have realistic chances to be part of the reconstructed 2016 bullpen, although I doubt the Twins would graduate Melotakis in particular to the majors out of spring training. The Twins now have 38 player on their 40-man roster. One of the open slots is slated for Byung Ho Park; the other may well go to a Rule 5 selection. Shane Robinson made it through the entire season with the Twins and set career highs in at-bats, hits and runs, but it's hardly surprising that the veteran reserve outfielder went elsewhere. He barely played in September/October before being removed from the 40-man roster and declaring free agency. The Twins were interested in bringing him back on a minor league deal, which is all he got from Cleveland, but there's more opportunity for him to make the 25-man roster this year in Cleveland. The Tribe at this point are shy of outfielders and are said to be looking for one in trade. Robinson is no solution to a lineup issue. He's a bench piece with a variety of skills that make him worth using in specific roles. He's the opposite of Oswaldo Arcia, who has power vs. right-handed pitchers and nothing else to recommend him. As a fourth outfielder, Robinson makes more sense than Arcia, but so does, let us say, Danny Santana. I hold little hope that either Arcia or Santana will be productive major league regulars, but I hold no hope for Robinson in that regard either. The other guys have higher ceilings; they're just unlikely to reach those ceilings. Part II of these managerial posts compared Paul Molitor to his predecessor. What about compared to the rest of the league? Molitor was neither first nor last (with one exception) in any of the categories tracked by Baseball Info Systems. He wasn't often in the precise middle either. Molitor's platoon advantage stat -- 59 percent -- was below average, but not close to the bottom. That was Brad Ausmus of Detroit at .47 percent; the Tigers had a very right-handed lineup. Five American League managers had lower platoon advantages than Molitor. Still, considering how often Molitor had at least two switch-hitters in his lineup, 59 percent is lower than I expected to see. The one category in which Molitor was the trailer: he had the fewest "slow hooks" in the American League, with 27. My sense of the slow hook stat is that managers who rack those up have at least one starter they trust more than their bullpen who is nevertheless having a difficult year. Robin Ventura of the White Sox had the most slow hooks (66) in the AL; he had Jeff Samardzija. Ausmus was second (59); he had Justin Verlander pitching to a 6.62 ERA into July. Molitor trusted his bullpen more than those managers did and didn't insist on getting more innings out of, say, Phil Hughes. 2015 was something of a novelty for Twins fans: They got to see a new manager after 13 seasons of Ron Gardenhire calling the shots. And before Gardy, there was 14-plus seasons of Tom Kelly. What, specifically, did Paul Molitor do differently in terms of moves than Gardenhire? Here's a sizable difference: Consecutive days of use by relief pitchers. Gardenhire at one point (2007-2010) averaged more than 100 RCD a year. But his final four seasons, he was down to 82, 82, 78 and 82. Molitor shot that up to 123 last year, roughly a 50 percent increase, and notably more than Gardenhire's high of 115. Five pitchers had at least 13 consecutive days usage for the Twins last year; Blaine Boyer led with 20.Two others had nine. Only three Twins relievers had 13 RCD in 2014, none with more than 17. I think this is worth bookmarking. Ryan Pressly had nine RCD in his 27 appearances for Molitor, then he got hurt. Boyer spent time on the disabled list. Aaron Thompson had 13 RCD, lost effectiveness and was sent down, never to return. Pitchers get hurt, and some of these guys were and are marginal major leaguers anyway, so I'm reluctant to declare a bright line of causality. but this is worth monitoring. Molitor was aggressive about using relievers on consecutive days. It's possible that is counterproductive. To cherry-pick some other possibly interesting data points: Gardenhire used an average of 125 lineups a year, with a high of 135 in 2005 and low of 97 in 2006. Molitor's 124 is right around Gardenhire's average. Gardenhire's teams averaged 135 steal attempts and 51 sac bunt attempts; Molitor in 2015, 108 and 44. (Gardenhire's two lowest bunting years were his final two seasons). Molitor also stole less often in 2015 than Gardy did in 2014 and bunted more frequently. Molitor put runners in motion 132 times, the closest of any manager to the AL average of 136. Gardenhire averaged 128 (but in his first two years, just 44 and 37; in 2012 he was up to 207). I commented on this -- specifically about base stealing, because the numbers were readily available -- during the season, but the difference between Paul Molitor the base runner and the team Paul Molitor managed in 2015 was remarkable. Molitor's baserunning savvy was legendary. He was fast, certainly, but that was only part of it. He was aware and aggressive. He stole bases, and took extra bases, with extraordinary efficiency. The 2015 Twins, not so much. And the quality of Minnesota's baserunning, as a team, was sharply lower than under Ron Gardenhire. 2013: Twins had an overall net gain of +30. They were +44 running the bases, -13 as base stealers. The base running score was third highest in baseball that year. 2014: Total, +109. On the bases, +82; stealing, +27. The total was second in baseball, the base running component first. 2015: Total, - 19. On the bases, -13, stealing, -6. Only seven teams had lower total scores. Molitor had no connection to the major league team in 2013. In 2014 he was on the coaching staff and baserunning was a specific part of his portfolio. As manager in 2015, he doubtless delegated at least part of that aspect. But that's a stiff decline. Three free agents did something previously unheard of Friday: They accepted the one-year, $15.8 million qualifying offer from their teams. 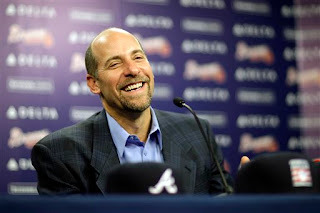 Pitcher Brett Anderson (Dodgers); outfielder Colby Rasmus (Houston); and catcher Matt Wieters (Baltimore) gave up their opportunities to seek multi-year deals and more money, probably because they (and their agents) realized that better offers might be difficult to come by. That is almost certainly the case for Anderson, whose career has been marked by years of injuries. They lefty threw 180 innings this year in 31 starts for the Dodgers; both are career highs. He hadn't topped 100 innings since 2010, his second season in the majors. $15.8 million is a very nice payday for one good season in five years. Rasmus, too, might not have found much of a market. He wore out his welcome in St. Louis (with, apparently, some help in that project from his father) and Toronto. He hit 25 homers for Houston this year, but with three strikeouts to each walk drawn and a low .238 batting average, which equates to a subpar on-base percentage. He's 29 and has some well-established limitations. Again, $15.8 million is a very nice payday. Wieters might be a different case. Even after two injury-shortened seasons in a row, he probably would have gotten a multi-year deal for more than the $15.8 million. I suspect he and agent Scott Boras are hoping/expecting that he'll have a better, less-injury plagued, season in 2016 and will be in position to try to cash in next winter. The odds are good that the Dodgers and Astros didn't expect (or want) their QO to be accepted, that they expected the past pattern to hold true and the player to turn it down to test the market. The purpose of extending the QO, of course, is to get an extra draft pick when the player signs elsewhere. Teams extended 20 qualifying offers this year, a stiff increase over previous years, probably because no player had ever accepted one. 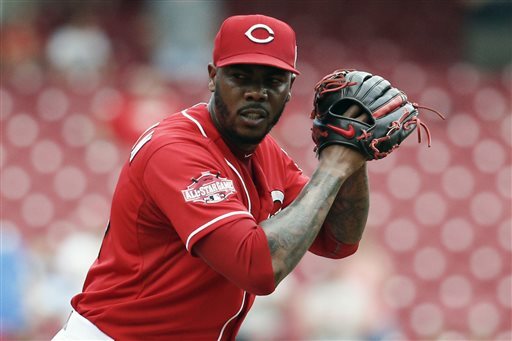 We'll see next year if teams are more cautious about making qualifying offers. My guess is that they will. With no reliable flow of baseball photos, and desirous of an easy done-in-advance post for Sunday to maintain my consecutive days streak, I hereby resume "The Sunday Funnies" -- quips and stories that may not be strictly true, but can provoke at least a smile. Ben Oglivie, noted slugger for the "Harvey's Wallbangers" glory days of the Milwaukee Brewers, was a rarity in big league clubhouses -- a man given to heavy reading. He studied philosophy in college, and was given to quoting the likes of Thoreay and Rousseau. During an interview, Oglivie said: "One of the best quotes I know comes from Augustine. He said: 'The body manifests what the mind harbors.'" Ah yes, said the writer, St. Augustine. "Actually, it was our relief pitcher, Jerry Augustine." I'm finding it a bit difficult this morning to think about baseball. I spent Friday night editing wire copy and photos on the Paris attack, and I was startled all evening when I checked my Twitter feed and saw people reacting to anything else. I don't say that to criticize anybody; I'm just explaining why I'm not posting something about the Twins today. According to Baseball Reference, eight players in major league history were born in France. Probably the most prominent baseball figure born there is Bruce Bochy, the son of a serviceman who spent nine years as a backup catcher before going to win three World Series as manager of the San Francisco Giants. Charlie Lea finished his pitching career with the Twins; I remember watching him in the Dome in 1988. I'm sure in a day or so I'll be ready again to distract myself with baseball. Today, not so much. Tradin' Terry Ryan had a quiet day Thursday -- his first without a transaction announcment this week -- so let's resume our glance through the Bill James Handbook 2016. It has been a standard observation for years: Joe Mauer is not particularly fast, nor does he steal bases frequently, but he is an adept baserunner, often the best on the team. He reads balls well, he goes first to third, he is seldom caught taking the extra base or doubled off. Baseball Info Systems, publisher of the Handbook, has been tracking baserunning since 2002, when Mauer was still a minor leaguer. By its calculations, Mauer is a +95 as a base runner for his career. (I wish I could say that that's 95 bases above average, or 95 runs, but BIS has a complex formula that doesn't lend its self to such a description. It's just +95.) Only 22 players, mostly obvious speesters such as Carl Crawford and Jose Reyes, scored better. In 2013, Mauer was +13. In 2014, +16. In 2015, -2. Over the time BIS has been tracking base running, runners have gone first-to-third on 28 percent of singles. Mauer in 2013 was 12-for-31, about 39 percent; in 2014, 13-for-38, 34 percent. Last year, he was just 6 for 20. Now, 30 percent is still a bit above average, but it isn't what we've seen from Mauer in the past. Mauer had one baserunning out in 2014, none in 2013. Last year, he was doubled off on linedrives twice and thrown out trying for the extra base twice for four outs. Maybe it's age -- Mauer is no longer a 20-something, and the years behind the plate have taken a toll. Maybe it's a general approach to baserunning under the new regime; I'll write about this in a future post, but despite Paul Molitor's baserunning skill as a player, the Twins in general ran the bases less effectively in his first year as manager than they did under Ron Gardenhire. Whatever the cause, Mauer went from a clear baserunning plus to a slight detraction last season.